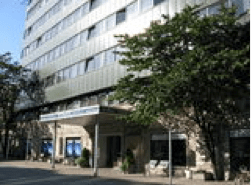 To accommodate conference participants, a number of rooms have been reserved at hotels from among which every participant should find a suitable option. Taxes and breakfast are included in the room rate. The exact booking instructions (including booking deadline and deadline for changes and cancellations) is listed under each hotel. Given the fact that the number of rooms available in individual hotels is limited, the accommodation will be allocated on a first-come, first-served basis. Park Inn Central is ideally located in the heart of Tallinn where the Old Town is a mere stone’s throw away. The hotel is ten minutes on foot from the Port of Tallinn and 3 km from airport. All Hotel Central’s guestrooms have up-to-date décor and offer multi-channel and pay TV, free WiFi Internet and blackout curtains. Each room has a mini-bar, hairdryer and direct-dial telephone. Hotel facilities also include a conference center, and Cafe Kompass for fine-dining. Rates are inclusive of VAT, buffet breakfast, WiFi. For bookings please send an e-mail to Estonia.sales@radissonblu.com or call +372 669 0690 referring to password ECIL. Reservations made via e-mail shall be confirmed with in 24 hours. 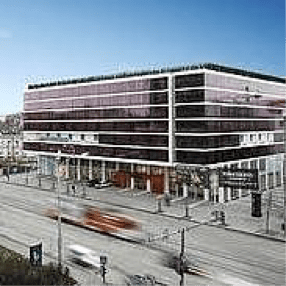 The new and modern four star Nordic Hotel Forum is located in the heart of Tallinn just within walking distance from shopping, business and entertainment areas. All the rooms are elegantly furnished and each detail carefully considered, even the most demanding guests yield to the offered comfort. All rooms include air conditioning, LCD TV set, SAT TV, direct dial phone, minisafe, minibar, hairdryer and free Wi-Fi wireless coverage. On the top floor of the hotel a spa center with saunas and small fitness center open to hotel guests. Rates are inclusive of VAT, breakfast as well as the chance to unwind in the relaxation centre, enjoying the views over the Old Town. 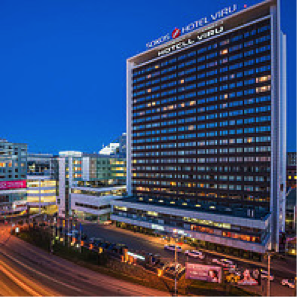 Located in the heart of Tallinn, in close proximity to shopping centers and within just a few minutes’ walk from the marvelous Old Town, Tallink City Hotel provides comfortable accommodation for both business guests visiting the city and tourists spending a weekend here. Tallink City Hotel has 332 comfortably furnished rooms, all rooms offer air conditioning, free Internet connection, TV (including satellite channels), telephone, safe, mini bar and a shower or bath. For bookings please send an e-mail to hotelbooking@tallink.ee referring to password ECIL. 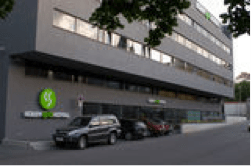 Original Sokos Hotel Viru is located in Tallinn’s centre, 100 metres from the historical Old Town and it is attached to the Viru Centre Shopping Mall and the popular KGB Museum is also there. Free Wi-Fi is available. All rooms have a classic Northern design in warm colors and boast a splendid view over the city. Each includes air-conditioning, a 32-inch flat-screen TV, ironing facilities, a minibar, work desk and a private bathroom with a hairdryer. Further facilities and services include car rental, computer corner, laundry and dry cleaning, several children’s play rooms, sun terrace, and a seasonal roof cinema. For bookings please send an e-mail to viru.reservation@sok.fi referring to password ECIL. 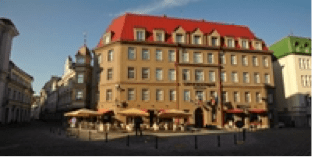 We can recommend more hotels in Tallinn City Center and Old Town. However, these hotels have not been reserved for you. You can make your reservation yourself. 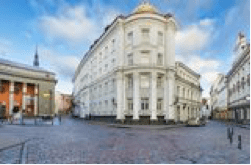 Baltic Hotel Vana Wiru – a gem in the heart of the old town of Tallinn. Excellent location, professional and helpful service, style and comfort are the keywords to describe our hotel. The hotel has 82 rooms, Vana Wiru Pub, a Turkish and a Finnish sauna, a luggage room and private parking. Wifi and a computer with Internet connection in the lobby, free Internet access in the rooms. Approximate distance from Tallinn University: 1.1 km (14 minute walking distance). Hotel Euroopa is modern hotel situated in the city center by the sea. The hotel is unique for its interior design where modern design is interlaced with the elements of national heritage. It is a perfect place for a visitor who prefers to be in the city center but at the same time appreciates quiet and peaceful surroundings. Free Wi-Fi is available. 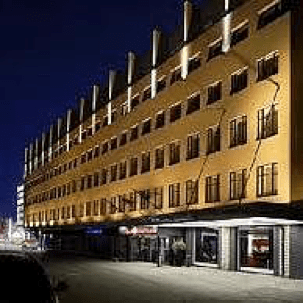 The Hotel Metropol is located in the heart of Tallinn in a recently renovated Rotermanni section, just a walking distance away from the historical old town, main sights, shopping centres and port. The hotel was established in 1999 and renovated in spring 2006. There are 149 rooms in our hotel, including 17 rooms with private sauna. Free Wi-Fi is available. There are also a beauty salon and a sauna in the hotel. Entertainment venues are provided by the restaurant and café Berlin. Kalev Spa Hotel is located next to one the main sights in Estonia – the Old Town of Tallinn that belongs to the UNESCO World Heritage List. As a spa hotel, we offer an excellent opportunity to combine your holiday with improving your health. 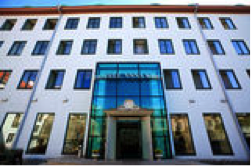 Our expert staff welcomes you to our building that was completed in 2005 and has 100 rooms; on one side, it is embraced by the ancient aura of the Old Town of Tallinn and on the other side lies the beautiful Kanuti Park with a fountain, well-groomed hedges and a children’s playground. 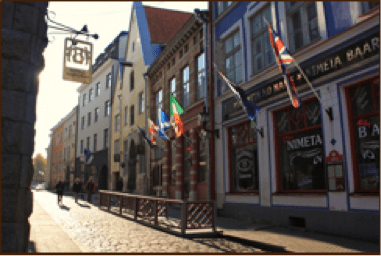 My City Hotel is a charming and welcoming little hotel located in Tallinn´s medieval old town. My City Hotel 68 pastel-colored spacious rooms are designed in a way which will satisfy the most demanding customers. Free Wi-Fi is available. Our hotel rooms have work desk, air-conditioner, minibar and safety deposit box. Approximate distance from Tallinn University: 1.6 km (22 minute walking distance). The Gothic-style building of the hotel dates back to the 15th century. At first, it belonged to merchants, blacksmiths and alderman, who passed it from generation to generation. The room layout has not been changed since 1927. The building also used to house communal apartments. The building was fully renovated in 2002 and it is now a boutique hotel with 23 spacious rooms, free Wi-Fi covers the entire hotel. 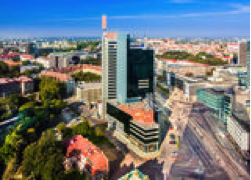 Rising 24 stores over the city of Tallinn, The Radisson Blu Sky Hotel provides plush accommodation in the bustling business district. Enjoy premier amenities and breathtaking view from this newly renovated hotel rooms. Comforts like Free high-speed, wireless Internet and the Super Breakfast Buffet ensure a relaxing stay, and on-site dining enhances convenience. On the 24th floor, Lounge 24 invites you to relax with a drink while you take in views from 90 meters above the city. The hotel with 44 rooms, is small, exclusive and private, free Wi-Fi covers the entire hotel. The Savoy Boutique Hotel is located at the very heart of Tallinn in a place where the city centre meets the medieval old town. The capital city’s most noteworthy business, entertainment and shopping centres are nearby, right next to the hotel. 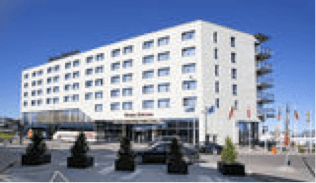 Tallink Express Hotel is a modern hotel located near the Port of Tallinn. Affordable for both tourists and business travellers, it offers simple and convenient accommodation with extra friendly service. Tallink Express Hotel’s service selection also includes, in addition to its 163 comfortable rooms, café ExpressCafé, a conference room, a business corner, a big car park, a children’s playground, and free wireless Internet throughout the entire building. 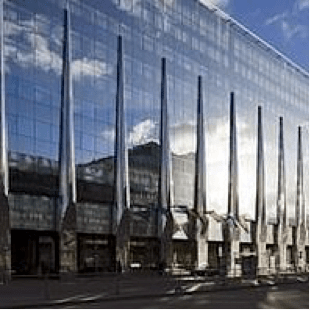 Opened in March 2007, the Tallink Spa & Conference Hotel in Tallinn’s city centre is well suited for combining business and holidays. The hotel offers a modern conference centre, luxurious Aqua Spa aquatic centre, wide selection of services and products in the beauty centre Hera Salongid, a la carte restaurant Nero that has belonged to the TOP 50 best restaurants in Estonia since it opened, original and cozy cigar bar Fidel, and a contemporary lobby bar.